UltraBoard Classic Peel N’ Stick is a premium pressure sensitive foam core mounting board designed for commercial photography development lab mounting applications. 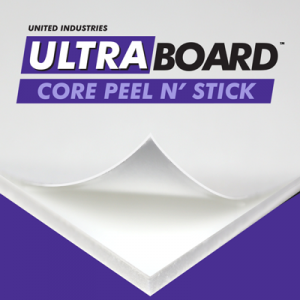 Featuring a high-density foam core with very smooth styrene liners, UltraBoard Classic Peel N’ Stick is one of the most smooth and rigid mounting boards on the market. 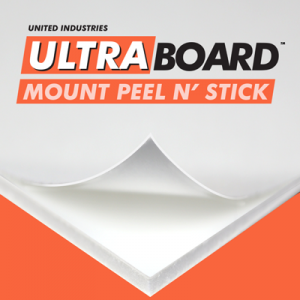 UltraBoard Classic Peel N’ Stick features a high tack adhesive on one side with a white liner that provides a color neutral mounting surface. 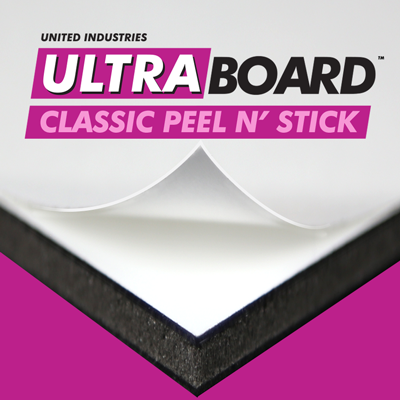 UltraBoard Classic Peel N’ Stick panels are available either trimmed or untrimmed.